Hull is glassed with 17 oz biaxial glass & epoxy resin is used throughout the boat. Mahogany and painted interior makes this boat a classic looking rocket. All uphostery and systems are intact except for engines and drives. 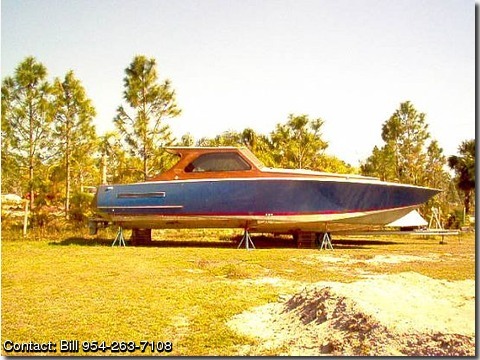 With some effort this can be an outstanding boat for cruising and pinicking. Don't miss this opprotunity to own this boat at a fraction of the cost.